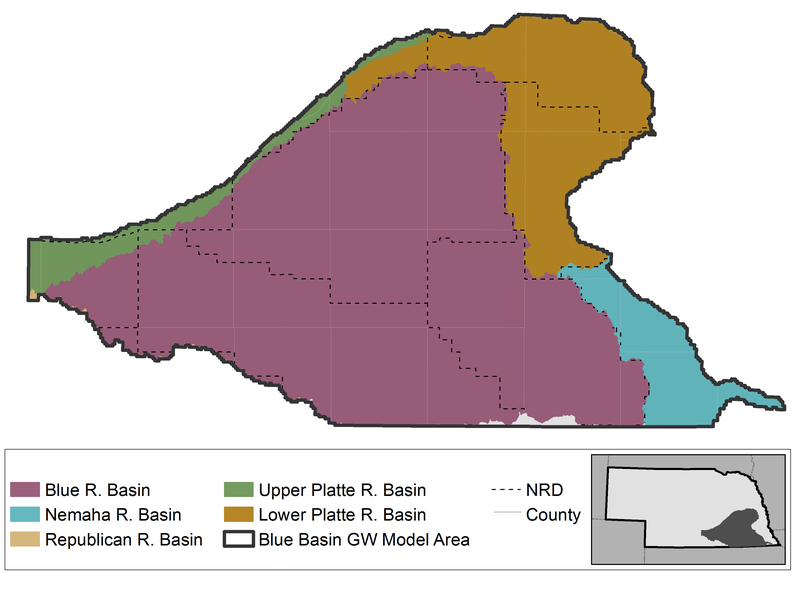 The Blue Basin Model was developed as a groundwater flow model that could be used to evaluate the appropriation status of the basin and to evaluate the effects of well pumping on stream baseflow in the Big Blue River and Little Blue River basins of south central Nebraska. The model output also contributes to INSIGHT, an online portal to Nebraska water use and supply data. This model simulates the expected long-term availability of hydrologically connected surface water and groundwater supplies over time for these two basins, which cover an area of approximately 7,100 square miles in southern Nebraska. The Blue Basin Model incorporates a groundwater flow model and a soil-water balance model. A surface water operations model is not included in this model because there are few surface water demands in this basin.